No one really knows where Badugi was born. It depends on who you ask. Some say Badugi originated in China. Others say Badugi was based on a Korean card game. While its origins are still wrapped in a mystery, one thing is certain, Badugi has been growing in popularity over the last few years, especially among lowball fetishists and high-stakes regulars. The goal of Badugi is to make the best four-card low hand with one card from each suit. An unpaired hand containing a heart, diamond, club, and spade, is called a "Badugi". Hands containing pairs or multiple suits are considered 3-card hands. Badugi is also a triple draw game, so you have three chances to make the best Badugi. The Ace is considered the lowest card and the King is the highest card. SAMPLE HAND: Limit Badugi with $400/$800 stakes. Badugi is played with blinds and a dealer button. Action progresses clockwise. The small blind is $200 and the big blind is $400. DEAL: Each player is dealt four cards face-down. YOUR HAND: You hold two spades so your best hand is a 3-card 5-2-A. The initial bet is $400. The player to the immediate left of the big blind, aka Under the Gun, is the first to act and has the option to call $400, raise to $800, or fold. If a player is facing a raise, they must call, fold, or re-raise. The big blind is last to act. If the pot has not been raised and other opponents have only called the $400 big blind, the big blind has the option to check or raise to $800. If the big blind checks, the betting round is complete and the players move on to the first draw. If the big blind raises, betting continues until the action makes its way back around the table. If a raise goes uncalled, the raiser wins the pot without revealing their hole cards. Once all remaining bets and raises have been called, it is time for players to draw cards. FIRST DRAW: Each player may discard zero to four cards. If a player does not draw any cards, they are "standing pat". You discard the , but you pick up the for a pair of fives. Your best hand is still a 3-card 5-2-A. On this betting round and all subsequent betting rounds, action begins with the small blind. On the first draw, players may check or bet $400. If a bet is made, players must call, fold, or raise. The button is last to act. If no one has bet, the button has the option to check or bet. If the button checks, the betting round is complete and the players proceed to the second draw. If the button raises, betting continues until the action makes its way back around the table. If no one calls a bet or raise, the bettor wins the pot without revealing their hole cards. Once all remaining bets and raises have been called, it is time for players to draw cards for a second time. SECOND DRAW: You discard the . You pick up a but still need a club to make a Badugi. However, you have improved to a 3-card 4-2-A. The betting limit is now $800 from here on out. Action starts with the small blind and players may check or bet $800. If a bet is made, players must call, fold, or raise. The button is last to act. If no one has bet, the button has the option to check or bet. If the button checks, the betting round is complete and the players proceed to the third draw. If the button bets, betting continues until the action makes its way back around the table. If no one calls a bet or raise, the bettor wins the pot without revealing their hole cards. Once all remaining bets and raises have been called, it is time for players to draw cards for the third and final time. THIRD DRAW: You discard the and draw the . You have made a 6-4-2-A Badugi. The betting limit is $800. Action starts with the small blind. Players may check or bet $800. If a bet is made, players must call, fold, or raise. The button is last to act. If no one has bet, the button has the option to check or bet. If the button checks, the betting round is complete and the players show down their hands. If the button bets, betting continues until the action makes its way back around the table. If no one calls a bet or raise, the bettor wins the pot without revealing their hole cards. Once all remaining bets and raises have been called, it is time for players to reveal their cards. If two players have the same hand, they split the pot. There is no way to determine a tie-breaker. Don't forget that straights do not count, but you must have four different suits to make a Badugi. Here come the Germans! Joe Ingram interviewed two of the top tournament players in the world for his Poker Life Podcast. Dominik Nitsche appeared on Tuesday, while Fedor Holz joined Ingram yesterday. The two German shared their thoughts on all things poker including delusional tournament players, lazy strategy, and playing big cash games in Macau. PokerStars School got a face lift. The site designed especially for beginners and poker noobs, recently posted a two-part interview with Daniel Negreanu. In the first part, Kid Poker dishes advice like why sleep is essentially to playing in tournaments. He also gave a couple pointers for satellite winners playing in the PokerStars Players No Limit Hold'em Championship (PSPC). In the second part of the interview, Negreanu goes a little deeper to discuss how Black Friday 2011 affected American pros. Negreanu also shares his thoughts on playing against the top young players in the world in Super High Roller events. Have you taken your shot at the newest tweak in online poker? PokerStars launched Power Up Poker, which they hope will revolutionize poker and entice video gamers to take the leap into real money gaming. The learning curve is evolving as we speak. Luckily, some folks launched a specific site dedicated to Power Up Strategy. In short, they are… "Developing winning strategies since day one! Op-poker is working to bring you the first dedicated platform for all your strategy needs so you can be the first to capitalize on the new Power Up poker format." 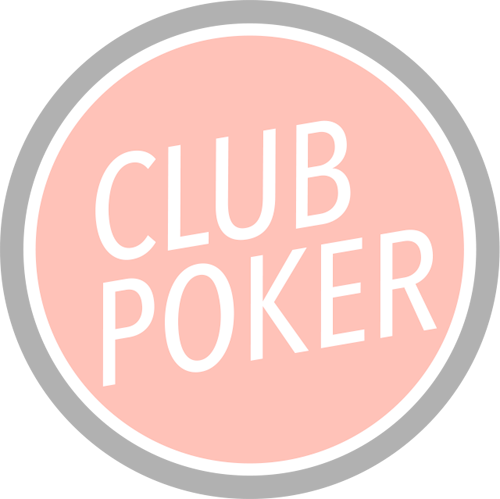 Check out Op-Poker here. Paul Phua added a new strategy video to his growing arsenal on YouTube. Phua is a regular in the biggest cash games in Asia. He tapped some of his fellow players at the nosebleed stakes to share their thoughts on visual tells. Some tips are provided by legends such as Fedor Holz and Steve O'Dwyer. Also contributing some tips... Sam Trickett, Timofey 'trueteller' Kuznetsov, Dan 'Jungleman' Cates, and Lucas Greenwood. Paul Phua Poker released a new video featuring Daniel 'Jungleman' Cates. In this special video, Jungleman delivers a mini-masterclass in short-handed tournament play. German wunderkind Fedor Holz appeared on the Lewis Howes podcast The School of Greatness. The entrepreneur and best-selling author interviews various professional athletes, successful business leaders, and other people at the top of their profession. Howes invited Fedor Holz on his podcast because he was curious how Holz trained his mind to detach from the money and potentially losing in high stakes. In this hour-long episode, Holz dispatched many pearls of wisdom that can be applied to both life and poker.